Bobcat footprints strike out across a little pocket beach on the western edge of Santa Cruz. Egrets wade through tea-colored waters of the lagoon nestled behind the dunes. It’s a quiet snapshot of coastal California before time. A steady trickle of filtered water tumbling from the sandstone cliff belies the veins of life-sustaining seawater that course through the aquaria and classrooms of the marine laboratory above. 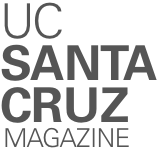 Today, UC Santa Cruz’s Coastal Science Campus is a vibrant intellectual hub, bustling with students and scientists who conduct world-class marine science research and education. But all of this—the aquaria, animals, students, scientists, buses, and buildings—is the recent culmination of a vision that began more than 25 years ago. When Gary Griggs became director of UC Santa Cruz’s Institute of Marine Sciences (IMS) in 1991, the marine lab campus was a humble collection of salt-dusted trailers and pools surrounded by fallow Brussels sprout fields. The now pristine-looking beach lagoon was overrun with poison hemlock. All of that changed in the space of a single generation, largely guided by Griggs’s unadulterated enthusiasm for science. The first thing you notice upon meeting Griggs is that his handshake could crush coal into a diamond. The second is that he smiles with his whole face upon greeting you. As a young geology student in Santa Barbara, Griggs decided to change his major to Hispanic civilization after taking a particularly engaging Latin American history course. His professor disparagingly informed Griggs that the most likely job in that field was as an ambassador, for which he would need a lot of money or political connections. Griggs stuck with geology. “It made me realize how important the conversations are that we as faculty have with students and how much those can influence students even though you may not intend it that way,” says Griggs. Sullivan was just 17 years old when she approached Griggs in his oceanography class and asked him, “What do you guys [oceanographers] actually do?” Griggs honored her curiosity, responding to her level of understanding at the time. “Any vague question I threw out, he could think of a way to intercept it and show me something that might feed it a little further. He did that at no end,” says Sullivan. She changed her major to oceanography. Sullivan went on to become one of the first women to study the seafloor from submersibles and the first American woman to walk in space, and eventually served as administrator for the National Oceanic and Atmospheric Administration (NOAA). Years after she earned her bachelor’s degree in Earth sciences, Sullivan surprised Griggs in a speech at a UC Santa Cruz graduation ceremony by announcing that their conversations during his oceanography class changed her whole career. “It was just serendipity that I saw her as a person and listened to her rather than saying no, that’s too hard, or girls can’t do that,” says Griggs. Griggs is willing to talk science with nearly any audience, from high schools and college classrooms to Rotary Clubs, senior centers, and volunteer docents. His reputation for being able to make complex science understandable has earned him local popularity that is surprising perhaps only to him. Arriving at a January 2017 talk on geology and natural disasters at the Rio Theatre in Santa Cruz, Griggs says, “I looked at the marquis and thought, oh, my name in lights! Then i thought, nobody’s going to want to hear this.” It was a packed house. By the late 1990s, Griggs had secured partnerships with several outside agencies, such as the U.S. geological survey, which were attracted to the association with a research university and brought their own funding. Some agencies built facilities to make use of the shared seawater system, including the California Department of Fish and Wildlife’s Marine Wildlife Veterinary Care and Research Center and the NOAA Fisheries Santa Cruz Laboratory. These partnerships brought scientific collaboration at a minimum cost. UC Santa Cruz’s Long Marine Lab was gaining recognition for its research programs, but its own staff and faculty were still operating out of mobile trailer offices. Though the facilities were in need of upgrades, Griggs was pushing for more formal public outreach. 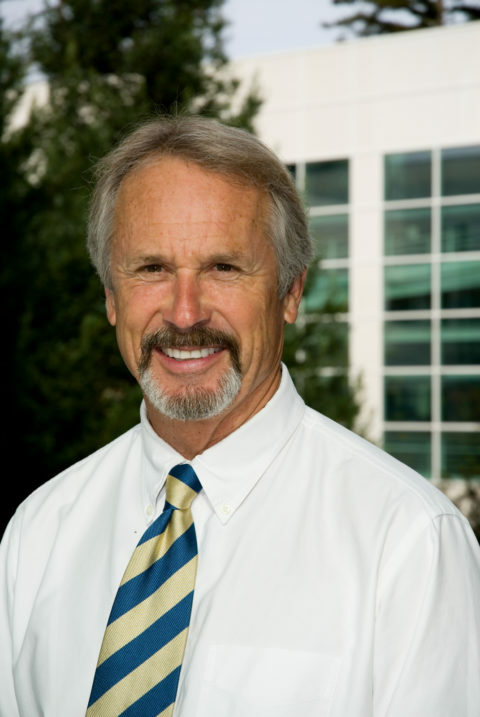 Under Griggs’s leadership, $6.4 million was secured, nearly all in private funds, to build a visitor center and aquarium that would showcase the global marine science conducted through UC Santa Cruz. Following that success, the Packard Foundation donated $5 million of the $7.3 million needed to construct a state-of-the- art research building to house Long Marine Lab’s faculty, staff, and graduate students. On March 11, 2000, the Seymour Marine Discovery Center opened its doors to the public. And almost one year later, in spring of 2001, construction was completed on the Ocean Health building. Almost a decade of planning, collaboration, and fundraising had borne fruit. “Everything came together, and people said, wow, this just happened overnight!” says Griggs. Griggs proposed at that time that the university fund an interdisciplinary academic program to be housed in the new Ocean Health building. “That’s pretty low budget and will bring people into the program that no place in the state has,” says Griggs. “In this incredible state with all of our ocean, resources, and economy, nobody in resource management in California gets trained here. We had all the facilities.” But it took time for the campus to commit to it. The Institute of Marine Sciences (IMS) is an organized research unit of the campus whose directors serve five-year terms, except under extreme conditions. With the recent renovation of the marine mammal pools and completion of another new facility, the Coastal Biology building, the extreme circumstances of building a marine science community have ended. In June 2017, Griggs stepped down as IMS director for UC Santa Cruz, and Professor Pete Raimondi took his place at the helm. The Seymour Marine Discovery Center serves as a public window into a wonderland of ocean science and conservation for roughly 70,000 visitors each year. Children who have attended the Seymour Center’s summer camps or school programs in the last 18 years have now served as adult volunteers or employees. Many more have completed their college education on the Coastal Science Campus and moved on to successful science careers. The biggest compliment to a person’s legacy is for their work to succeed after they walk away. New students arrive on the Coastal Science Campus for college classes every day. School children, with their hands in the Seymour Center’s touch tanks, are inspired by the wonders of the ocean, the largest habitat on our planet. Egrets wade through Younger Lagoon Reserve, and filtered seawater spills from the outflow pipe above the beach into the churning Pacific.